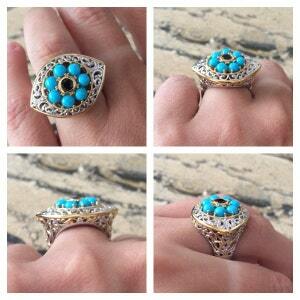 Daring yet demure!10mm Sleeping Beauty Turquoise Scrollwork Silver Palladium Wide Band Ring. No, you're not dreaming! 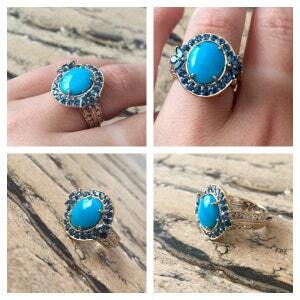 If you've been wishing for the perfect turquoise ring, consider your prayers finally answered! 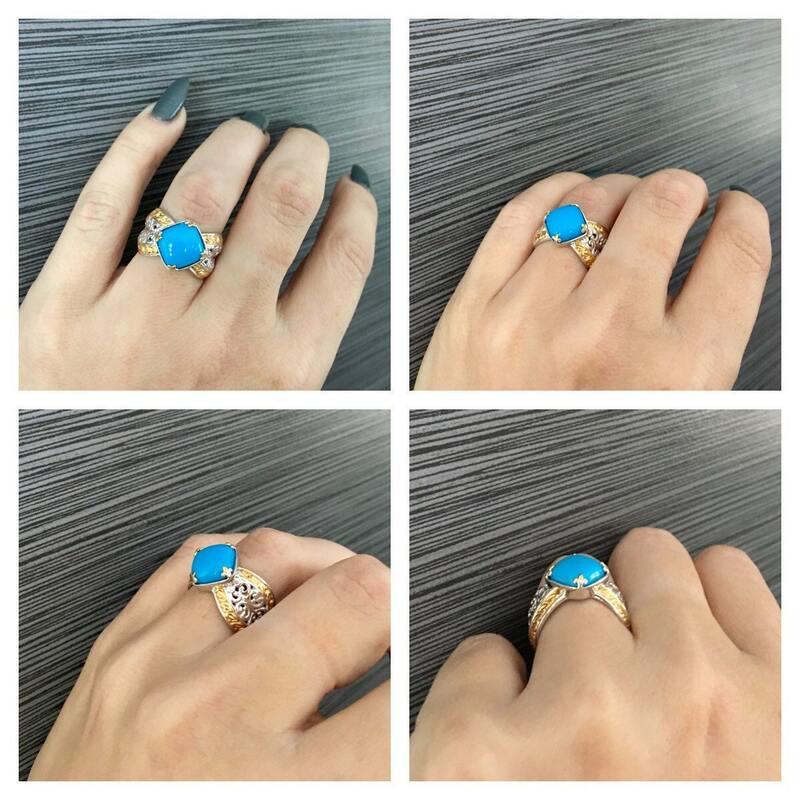 Daring yet demure, you'll find yourself reaching for this luxurious, square Sleeping Beauty turquoise time and again. 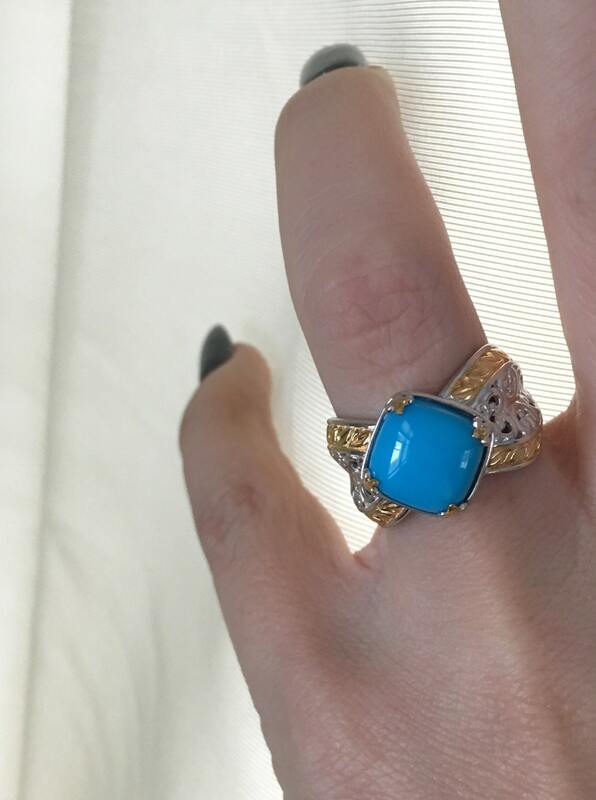 It lauds all of the essentials, too: like the ornate two-tone scrollwork, tapered shank and geometric undergallery. Delicate yet detailed! 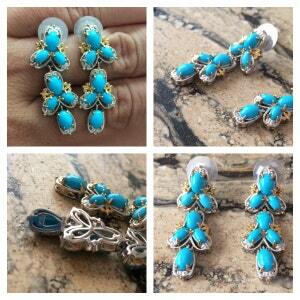 1.5" Sleeping Beauty Turquoise & Sapphire Drop Two Tone Sterling Silver Palladium Earrings. Drips and drops of blue ! 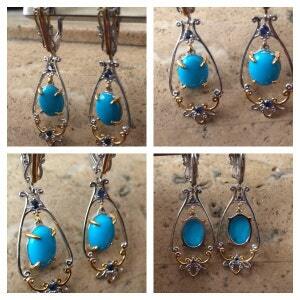 1.5" Oval Sleeping Beauty Turquoise Dangle Two Tone Sterling Silver Palladium Earrings. 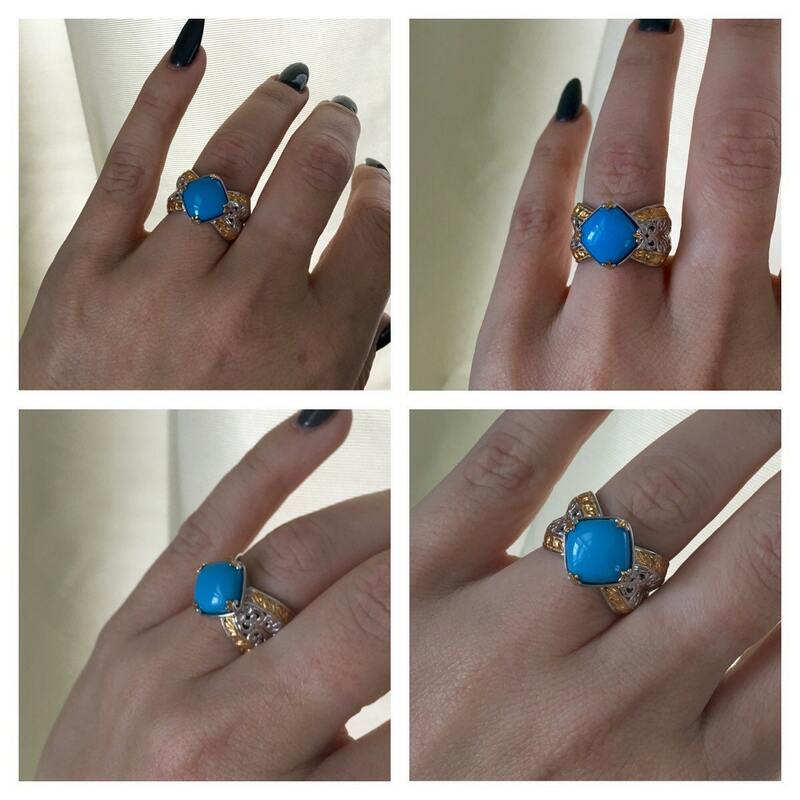 Show off your trendsetting style ! 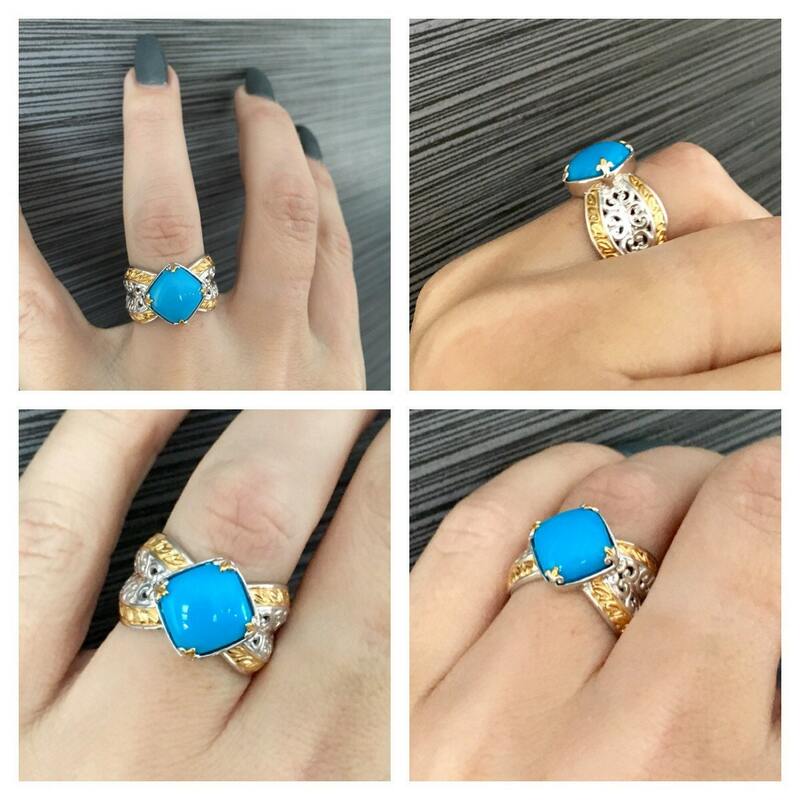 12x10 Sleeping Beauty Turquoise & London Blue Topaz Two tone Sterling Palladium Solitaire Ring . Keep bad vibes at bay ! 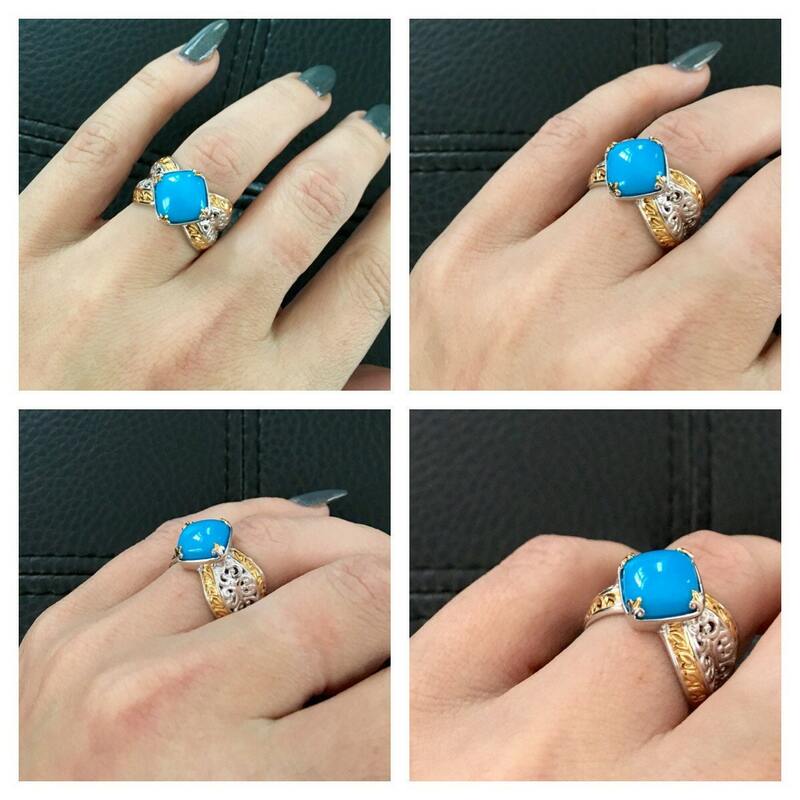 Sleeping Beauty Turquoise & Black Spinel Evil Eye Two tone Sterling Palladium Ring .